You'll be £11.99 closer to your next £10.00 credit when you purchase Ada Lovelace. What's this? Whilst much has been written about the ‘father of computers’ Charles Babbage and Alan Turing, the pioneer of computer science, many trailblazing female computer programmers have slipped beneath the radar. One of these is Ada Lovelace. A Countess and daughter of the infamous Lord Byron, Lovelace could have lived a very comfortable if unremarkable life, but instead she became a renowned mathematician and writer. She is chiefly known for her work with Charles Babbage, the aforementioned 'father of computers’. But it was actually Ada and not Babbage who was the first person to recognise that the machine had applications beyond pure calculation. She created the first algorithm intended to be carried out by such a machine and, as a result, she is regarded as the world’s very first computer programmer. Her life is fascinating, taking in social and educational exploits with the leading scientists and writers of her day, including Charles Dickens. This new biography seeks to acquaint the reader with all the various milestones of an inspiring life and career. 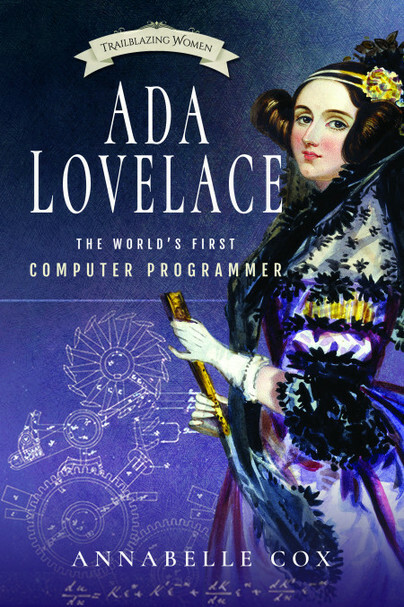 Ada Lovelace is increasingly becoming recognised as a true icon for women in technology. With girls and young women being encouraged ever more into the fields of mathematics, technology and science (fields previously dominated by men), women such as Ada are incredibly powerful figureheads with influential legacies. Her story is an inspiration to anyone seeking to break new ground in their chosen field. Annabelle Cox is the creator of the popular blog Historical Honey. This is her first book.